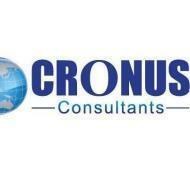 Cronus Consultants was established in 2005 with the primary objective of addressing the need to provide assistance to an ever growing outflow of Indian professionals and students. We at Cronus aver that one of the criteria involved to relocate or study abroad is to score the desired bands in IELTS. Hence, our imperative motive is to facilitate each student by providing appropriate guidance. We support with utmost candour and motivation. Cronus Consultants conducts classes in IELTS Coaching, Personality Development Training and Spoken English. It is located in Mohali, Mohali. It takes Regular Classes- at the Institute.